In Minnesota, our distribution partner is The Wine Company. For over twenty five years they have sold wine to the most discerning restaurants and wine retailers in Minnesota. Thanks to The Wine Company's long-tenured salesforce, our ciders can be found at Bachelor Farmer, Gyst Fermentation Bar, and CoV to name a few exemplary on-premise locations. They take their job seriously, insisting on the highest pedigree and provenance for their wines — while always having fun and building community. In Maryland, our partner is the woman-owned distributorship, Tenth Harvest. Tenth Harvest focuses on producers from around the world who create high quality products with an interesting story of sustainability "from land to hand to bottle to glass." Owner Carlee Pipitone and her team work with estate wineries, distilleries and cider-makers that are often small family-owned businesses. "We believe that wine is pure pleasure. Sustainable. Artisanal. Passionate." In New York, New Jersey, Connecticut and California, our distribution partner is the family-owned firm, Skurnik Wines. The company began with just a handful of relatively unknown estates in 1987 and has since grown to represent over 450 estates, from the traditional to the cutting edge. They have a well established reputation for searching out quality first and for building brands. As it happens, Michael Skurnik was ranked the 3rd most powerful person in the New York City wine industry by Tyler Colman in 2013. 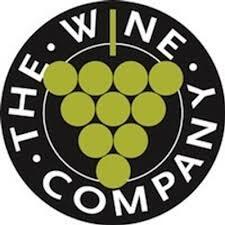 In Wisconsin, our distribution partner is L'eft Bank Wine Company. Founded in 1985 by Mark Johnston, his handy Ford Pinto and a few cases of Burgundy, L’eft Bank has grown to become the leading independent distributor of fine wines in Wisconsin. L'eft Bank is committed to selling wines that are a result of organic, biodynamic, or sustainable methods. The company also does its part to reduce its carbon footprint by running delivery trucks on biofuels. Cider Cellars is always interested in exploring additional right-fit distribution partners. We are licensed to sell in all 50 states and stock our British cider inventory at Western Carriers in New Jersey for convenient pickup. If your mission supports estate grown and bottled wineries and you'd like to take advantage of the rapidly growing craft cider market, please contact us.